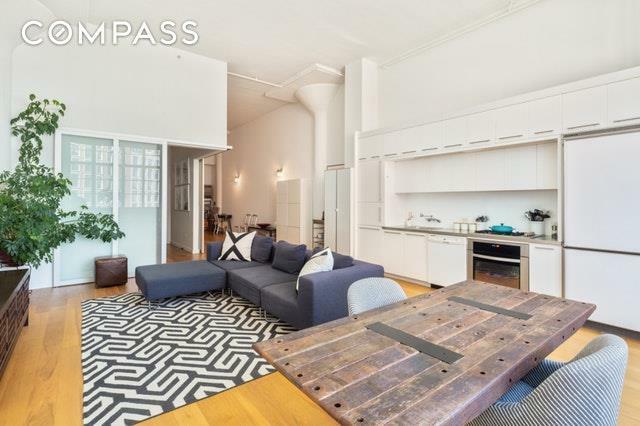 This bright studio + home-office loft spans 1,394 square feet and features soaring 15' ceilings, oversized windows, a spacious living room with an open kitchen and beautiful parquet floors. The home-office with sliding doors can been turned into a bedroom. The apartment has plenty of closet space including two huge customized dressing rooms, one of which can be turned into a baby's room or an office. 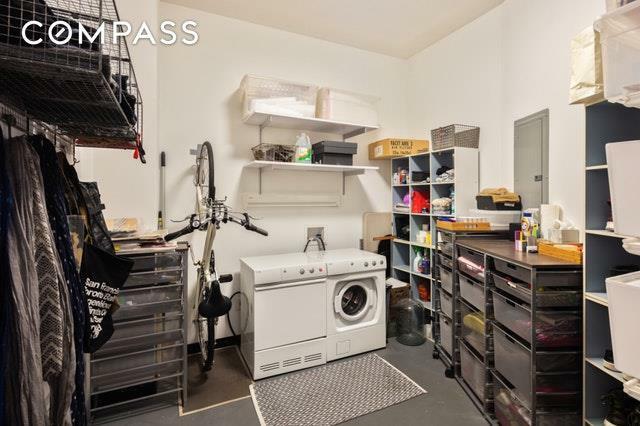 The apartment also features its own laundry room with a washer and a dryer, and generous storage space. The open kitchen is complete with Electrolux appliances.Arris Lofts is a luxury condominium with 24h doorman and concierge. 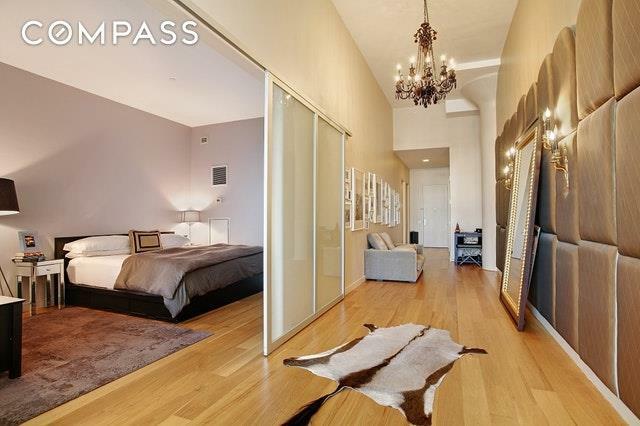 Amenities include a lap pool facing the interior Zen garden, a gym, a sauna. The fitness center is impressive, no need to have a membership anywhere else! Fitness classes are organized 3 times a week and included in your common charges. Planted roof deck with spectacular views. Laundry room with large washers and dryers in the basement, but you can install your own in the apartment's laundry room. 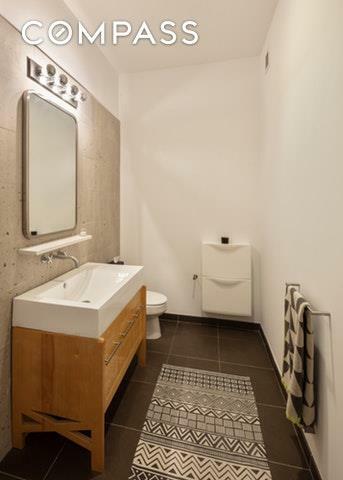 Most convenient Long Island City location on Court Square, with the M, E, N, R, 7 and G trains across the street, only one subway stop to Midtown Manhattan and 3 stops to Grand Central Station. Please call the listing agent immediately to make an appointment.